In a large-scale analysis of pain-relief medication for osteoarthritis, researchers found that paracetamol does not meet the minimum standard of clinical effectiveness in reducing pain or improving physical function in patients with knee and hip osteoarthritis. Although paracetamol was slightly better than placebo, researchers conclude that, taken on its own, paracetamol has no role in the treatment of patients with osteoarthritis, irrespective of dose. The study, published in The Lancet, is the largest analysis of randomised trials of medical pain relief for osteoarthritis to date, and finds that diclofenac 150mg/day, a non-steroidal anti-inflammatory drug (NSAID), is the most effective short-term pain relief. However, the authors caution against long-term use of NSAIDs because of known side-effects. Worldwide, 9.6% of men and 18% of women over the age of 60 have osteoarthritis. Estimates suggest that 26.9 million adults in the USA have the disease, and 8.75 million in the UK. Osteoarthritis is the leading cause of pain in elderly people. It can impair physical activity, which increases patients’ risk of obesity, cardiovascular disease, diabetes, and general ill-health. Dr Sven Trelle from the University of Bern, Bern, Switzerland, and colleagues, pooled data from 74 randomised trials published between 1980 and 2015. With data from a total of 58556 patients with osteoarthritis, the study (a network meta-analysis) compared the effect of 22 different medical treatments and placebo on pain intensity and physical activity. The 22 treatments included various doses of paracetamol and seven different NSAIDs. 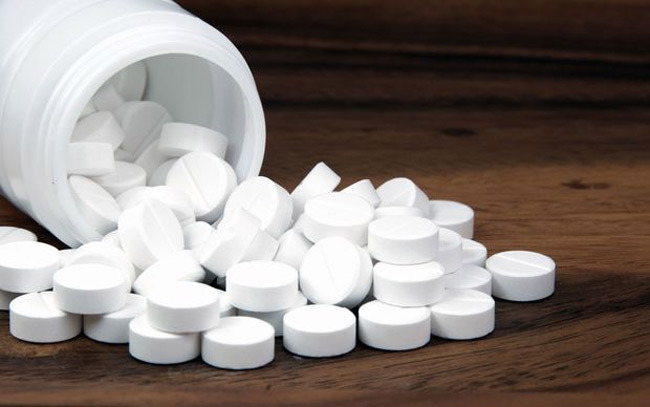 Paracetamol and NSAIDs are usually the first line treatment for mild to moderate pain management in osteoarthritis, but paracetamol is used more frequently in the long-term because of the cardiovascular and gastrointestinal side effects associated with long-term NSAID use. The analysis found that all 22 preparations of medications, irrespective of dose, improved symptoms of pain compared with placebo. Although some doses of paracetamol had a small effect on improving physical function and decreasing pain, the effect was only slightly better than placebo, and did not reach the minimum clinically important difference (effect size of -0.17 vs. clinically important difference of -0.37). In comparison, diclofenac at the maximum daily dose of 150 mg/day was most effective for the treatment of pain and physical disability in osteoarthritis (effect size -0.57), and superior to the maximum doses of frequently used NSAIDs, including ibuprofen, naproxen, and celecoxib. The length of follow-up in most of the included trials was 3 months or less, and the authors acknowledge that other studies which include longer-term follow-up may be necessary. Although the overall number of patients included in the analysis was large, the number of individual trials assessing individual doses was still low.